The term “digital native” has become such a part of our lexicon that we rarely think through the original attribution. When Prensky (2001) coined the phrase, he was referring to students who “have spent their entire lives surrounded by and using computers, videogames, digital music players, video cams, cell phones, and all the other toys and tools of the digital age” (1). However, we imagine that both Giroux and Illich would recognize statements such as “our students are digital natives” (Prensky 2001) as being part of a larger discourse that serves in part to cover and hide questions such as what, why, or who is being served. Indeed, the statement that our students are digital natives is true insomuch as they have grown up in a “highly stimulating and interactive digital environment” (Gaston 2006, 12). The assumptions embedded in this discourse, however, are rarely challenged. First, the wanton use of the words digital natives “tends to flatten diversity and mask inequality” (Jenkins, Ito, and boyd 2016, Kindle loc 1242), which can lead to curriculum and pedagogy signifying non-bias and neutrality. Assembled, then, on the “potency of a slogan,” (Popkewitz 1980), K-12 educational policies that affect all aspects of public schooling become “justification for mandated change in schools” and are developed and implemented seemingly “overnight” (Schmidt 2017, 11–12). The rationale goes something like this: “Nativeness” is proof of how students learn best, which therefore dictates how we ought to teach. But it does not stop there. If being immersed in a highly stimulating and interactive digital environment is how students learn best and is therefore how we should teach, 21st century curricula must incorporate technologies that will facilitate this new (whether understood or not) epistemology. The fear “of miss[ing] out on something” pushes us to “spend whatever it takes to use this stuff—with little regard to how it actually impacts our lives” (Rushkoff 2010, 21). It all feels so deterministic, this creeping inevitability of technology marching all of us steadfastly toward a transformed society. And indeed, transformed, but into what, and for what purpose? As computing technology has become more pervasive in modern societies, there has been an influx of funding and support for the teaching of computer programming (coding) as a literacy that may be essential in filling current and future jobs. The National Science Foundation (NSF), as only one example, has awarded tens of millions of dollars in grant funding for research on K-12 computer science programs and initiatives, which often focus on coding. By positioning coding as a functional literacy necessary for meeting societal demands, computer science educators and organizations are witnessing record levels of exposure and program growth. Such initiatives are frequently supported by for-profit corporations that not only provide schools and organizations with significant amounts of funding and technology, but that position themselves as “industry experts” in developing curricula and standards to prepare students for the future job market. While such initiatives may provide opportunities for students to modify or create their own software rather than use software created by others, Giroux (2003) reminds us to question whether such initiatives treat education as a public good and serve to construct conditions for freedom as part of a viable democracy. Our concern echoes that of Gutstein and Peterson’s (2006), in that coding in this context is put forth as “functional” and as “[serving] the productive purposes (i.e., maintaining the status quo) of the dominant interests in society” (5). We wonder in what ways music educators might be complicit in implementing technology that subordinates the human and musical needs of students to modes of production that benefit a highly commercial society. We take seriously Mantie’s (2017) position that “music educators themselves [must] continually question the ways in which technologies affect the musical subjectivity of our students” (26) as we seek to reclaim the phrase “to make music,” and thus to reclaim students’ autonomy and freedom. In the remainder of this article, we question a dependence on commercialized technologies and highlight a music subculture that appropriates such technologies for its own musical interests. We question how such appropriations of music technology might occur within educational contexts, and the very notion of “freedom” within the broader technology education discourse in this age of neoliberalism. We begin by defining technology. We do this recognizing the high stakes embedded in such a task, as Pursell (1994) does in writing that “the power to define [technology] is the power to control the exact meaning of the word” (121). What constitutes technology, then, and how its uses (and users) are named, assumed, and reproduced, is integral to having a broad and nuanced understanding of technology in music classrooms. Music technology can, of course, be anything from (for instance) a pencil and paper, to a piano, to the most sophisticated computer processing system and software now available. When a technology is conceptualized merely as a tool, its neutrality is seemingly easy to embrace. Tools are simply inanimate objects: any bias they entail seems to lie only in how the user puts the tool to use. However, we would do well to remember that all tools are inherently biased in design and construction. For example, many tools are biased toward right-handed users. Digital tools certainly are not without such biases; indeed, bias can be much more insidious than simply favouring one hand. Garcia (2017), for instance, draws our attention to algorithmic biases including face-recognition algorithms tagging African-Americans as “gorillas” and website ads displaying advertisements for high-income job opportunities “to men at nearly six times the rate it display[s] the same ad to women” (112). Similarly, Buolamwini and Gebru (2018) point to the disproportionate number of images of lighter-skinned people in facial analysis algorithm datasets resulting in higher error rates for darker-skinned males and females. “Free choices” that can be made by a user are dictated by both software and hardware, thus not only are discursive meanderings reduced to shallow waters rather than depth of inquiry, users are positioned to “exclude other ethical criteria” (Bimber 1990, 337). This “bias toward the reduction of complexity” (Rushkoff 2010, 62) wends its way throughout music technology in, for instance, software such as GarageBand, which enables users to easily assign premade virtual instruments to MIDI tracks rather than having to manually synthesize virtual instruments for each track. This recognition or naming of technology as non-neutral is not simply an expression of “extreme forms of technological determinism” (Chandler 1996). There are biases embodied in all technology influencing how one experiences or uses it, moving us beyond defining technology simply as a tool. Technology must also be read in a much larger way as involving intertwined processes. The way in which technology is used to deliver, for example, educative experiences, content, and structures of accountability for both students and teachers, extends an instrumental definition of technology to encompass a range of cultural, social, and productive processes (see Christensen 1997), having powerful ramifications for the purpose of education. The underlying deterministic presumptions in this example are multiple, and they paint a picture of a dire and despair-filled learning environment ruled over by a tyrant teacher who silences voice and free will. Technology, in this context, is presented as the answer for “automatically” (Thibeault 2015, 133) creating a “student-centered, engaging, and collaborative” learning environment. It is hardly a challenge to recognize the implications of “industry experts” in this example. First of all, “farming out” policy into the hands of outside experts because we perceive these kinds of decisions to be outside our “purview” (Schmidt 2017, 17) serves to “ensure [predatory capitalism’s] mode of governance” (Giroux 2018, para 2). And the idea that computing skills are geared toward enabling students to “succeed in the 21st century” is clearly linked to “jobs of the future” (Gove 2014, para 23), again underscoring a model of neoliberalism that is focused on the “maximization of entrepreneurial freedoms” (Harvey 2007, 22) and the “unyielding logic of corporate profit-making” (Giroux 2003, 176). Gove’s seductive wording presents educative answers irrespective of teacher, student, or even director/ principal agency. This tool, placed in the hands of students, is both pedagogy and curriculum, thus seeming to become the benign equalizer. What is more slippery, however, is the use of the word freedom and the implicit suggestion that computing technology will facilitate its realization. Technology, as Stallman reminds us, “can be said to serve its users only if it respects their freedom. What if the [technology] is designed to put chains on its users” (Stallman 1985, para 31)? In both examples (and these are two among many), technology and computing curricula are presented as tools designed for instrumental ends “indifferent with respect to politics” (Feenberg 1991, 6). Instead, as Giroux (2004) has observed, “freedom and agency are defined through the prevailing ideology and principles of the market” (49). Teachers simply need to “equip every child with computing skills” by tapping into the latest technology “whose potential simply awaits human direction” (Bowers 1988, 29). This presumed technological beneficence—unchecked, seemingly autonomous, and purportedly neutral, now coupled with the voracious corporate mentality in a society that no longer sees schooling as a public good (Giroux 2003, 162)—is cause for alarm. In the following paragraphs, we challenge the role of technology coupled with the force of neo-liberal economics and recognise the imperative of human agency. We share a concern—held by many in our field—that “technology” in schools, and in music curricula, is being embraced without critical reflection. Education, Giroux (2003) reminds us, “must be treated as a public good” (162). Public good for Giroux (2018) differs substantially from Gove’s version of “freedom,” where the reigning ideological ethos is “to consolidate power in the hands of the financial elite” (para 3). In the UK and Chromebook® examples above, where the purpose of public schooling is determined and defined by what Giroux (2003) labels the corporate culture, public and private goods merge as one, promoting and sustaining the pursuit of “an individual that is an enterprising and competitive entrepreneur” (Olssen, Codd, and O’Neill 2004, 136). Allsup (2012) underscores the problematics of this culture as it is made manifest in music classrooms, specifically public school band programs, when he warns that “it is all too common to view the school as an adjunct of commercial industry, as the training grounds for future work” (182). Thibeault (2014) does the same when he warns of the processes of “commoditization [and] efficiency” (37) as they pertain to the beautifully written and subtly suggested “entanglement with media” (36). Where music technology and its accompanying pedagogy fall into this picture is hardly neutral. Providing a non-commodified space is practically impossible in a music class, “given” as Thibeault (2014) suggests, “that media is the context within which music education functions” (37), not to mention (more problematically) that “dependence on commodities has legitimized wants” (Illich 1977, 14). Instead of focusing on the possibilities afforded a community of learners working together in communal music making, we tend to “fetishize new toys” (Rushkoff 2010, 20) writ large. As a result, it seems imperative that teachers recognize their complicity in furthering a pursuit of what Illich (1977) calls “impoverishing wealth” (13). To illustrate how we might challenge the perceived nature of music technology as functionally fixed or deterministic, we address in the following section how some participants within a musical subculture known as the “chipscene” have both modified and facilitated others’ further modifications of existing music technology. 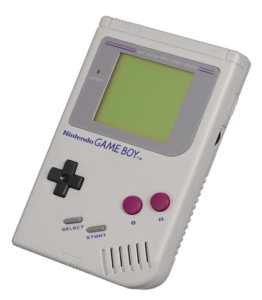 In the late 1970s and early 80s, the price and size of computer and video game hardware became relatively affordable and portable enough for personal use. Frustrated by the devices’ limited options for software and games, some early computer enthusiasts began modifying the code of these commercial products. The culture that formed around such computer programming practices, the “demoscene” (Carlsson 2008; Pasdzierny 2013), “revolved around the production, dissemination, and competition of realtime generated audiovisual works (demos), demonstrating how to maximize specific hardware through unorthodox programming” (Carlsson 2009, 16). Within this culture, some computer programmers predominantly focused on making music through early computer and video game sound chips. Over time, this music became known as “chiptunes” or “chipmusic,” and the musical subculture that grew out of it became known as the “chipscene” (Carlsson 2010; Collins 2013; Lysloff 2003; Pasdzierny 2013; Paul 2014; Ratliff 2007). Outside of modifying the code used to create music in an existing computer or video game, few opportunities existed for people to make music of their own design with such hardware. To solve this problem, people in the chipscene, and some software companies, developed software for manipulating musical information through text-based interfaces. Such music software are known as trackers, short for module trackers, and they are designed to maximize the music making capabilities of early computer and video game sound chips (Carlsson 2010). Although trackers were initially developed in the late 1980s, people continue to create and modify trackers for a multitude of devices used by other chipmusicians within the chipscene (O’Leary 2018). Rather than accepting the inherent music making limitations of early computer and video game hardware and software, people modified existing code or developed entirely new music-making software to create music with early sound chips. Further, many of the people who now create such software often openly share their source code with others and encourage modification or continuous development when the original developer must abandon work on a project (O’Leary 2018). 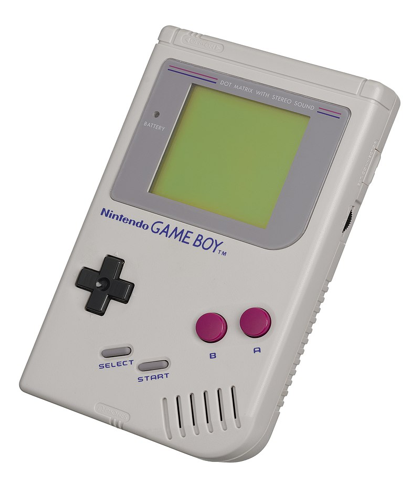 In addition to modifying or creating software for music making purposes, members of the chipscene are known for modifying video game hardware, such as the Nintendo Game Boy®, for music related purposes. For example, members of a chiptune discussion forum have used their knowledge of electrical engineering to improve the audio quality of their video game hardware by bypassing the internal amplifier within a device to obtain an audio signal with less noise (i.e., eliminating unwanted audio signals or interference), to add potentiometers to allow a user to pitch bend a device by changing the processing speed (see Figure 1), or to intentionally short-circuit electronic hardware (e.g., children’s toys) to create new sounds (O’Leary 2018). Members of the same community also designed and built a number of innovative devices that facilitated music making possibilities. For example, they designed, manufactured, and coded hardware interfaces that allowed modern computers and software to control retro hardware such as a SEGA Genesis® (O’Leary 2018). Such examples of software and hardware manipulation and creation do demonstrate that various disciplinary practices (e.g., coding and electrical engineering) and literacies (e.g., computer code and electrical schematics) can be used for music making and learning purposes. However, these music-related practices and literacies are guided primarily by individual and group interests in their leisure, rather than corporations or “industry experts” seeking to fill computing jobs. Interestingly, some people within the chipscene regularly engage in entrepreneurial practices such as buying, selling, trading, promoting, and manufacturing a range of created or modified media, hardware, and software (O’Leary 2018). While those who create or modify devices may appear only to have replaced one commercialized interest for another, some within the chipscene design music technologies expressly to facilitate modification. In other words, the technologies that these chipmusicians create are not closed ecosystems limited to original design decisions and biases, but rather are meant to be altered by the people who use them in their leisure. 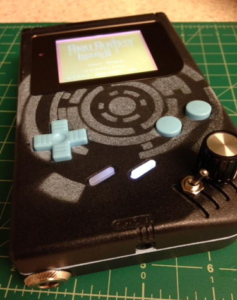 Chipmusicians encourage or design opportunities for such engagement in a variety of ways. For example, 1) members of a chiptune discussion forum often sell their music under a “pay what you want” model and include original project files so people can learn from, or remix, their music; 2) members sell hardware parts that can be combined or altered to modify existing hardware in an individually meaningful manner; and 3) software developers within the chipscene often release source code for their creations and encourage others to modify their code to meet their own purposes (O’Leary 2018). Each of these examples demonstrates how some people within the chipscene engage in commercialized practices through the products they create, which can establish new forms of determinism for the created or modified technologies; however, chipmusicians often do so with the intention that users will have the freedom to alter these technologies further to better suit their own purposes. This approach enables people to be not only users but makers of music and music technologies, in contrast with those music technologies and curricula that lead to technological and musical determinism. The examples above present a perspective on music technology that reflects the ontological shift that takes place when a user of commercialized music technologies becomes a creator or modifier of music technology for leisure. But what are the implications of this shift for music education? In the remainder of this article, we put forward some of the lingering questions we are left with and consider their potential for further discussion. We would like to explicitly state, however, that we are not suggesting music educators should reconsider the role of music technology in curricula because of the liberatory practices evident within a music subculture. Instead, we intend for the examples we have presented to provide a heuristic illustration for potential reconceptualizations of what it means to “make music” with and through music technologies. We are worried, however, that some music educators now see “the advance of technology [as] autonomous and its influence deterministic” (Bimber 1990, 338). We began this article with some perspectives on how the notion of digital nativeness supports the push for technology in the classroom. Unfortunately, such notions of nativeness with digital technology often falsely equate technology use with depth of understanding. In addition, rarely do we question whether so-called “natives” are free to create, or make, similar technologies. But, more importantly, rarely are the ideological underpinnings brought to the forefront of such advancements. Such a shift in perspective on music technology use raises some questions for potential consideration: How might a shift from using music technologies created by others to creating and using music technologies shape music making and learning? What copyright laws might music educators need to consider when appropriating commercialized music technologies? Where is the place for and/or the balance between time spent making music technologies and making music with such technologies? 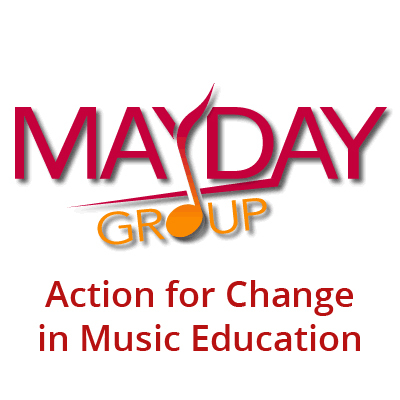 Why might stakeholders consider such a shift as a move away from music making and learning? In what ways do these shifts help us to attend to “democratic education” as “social justice, respect for others, critical inquiry, equality, freedom, civic cour­age, and concern for the collective good” (Giroux 2004, 102)? It is neither new nor radical to conceptualize music education as an endeavour that moves students beyond formal schooling. It has also become commonplace to recognize that students are making music in multiple ways outside of schools. Beyond and outside school, music making continues to be interesting and meaningful. However, life in/after/beyond school and work must be something more than the pursuit of needs; what Giroux (2003) has characterized as corporate culture cannot be the “model of the good life” (58), yet it is often positioned as such. At the 2017 World Economic Forum, the financial elite reportedly made a pretense of “soothing the populist fury by making globalization a more lucrative proposition for the masses” (Goodman 2017, para 3). Music Educators need to keep in mind the absolute hubris of such a position and recognize that there is nothing in those words to suggest “bolstering the power of workers to bargain for better wages and redistributing wealth from the top to the bottom” (para 4). Rather than conceiving of music technologies as being constrained by immutable design decisions and biases, we invite music educators to explore the many creative possibilities that could arise through students’ self-creation and self-modification of music technologies. Chiptune practices demonstrate one such possibility for students to circumvent technological determinism. Such an approach expands the notion of “music making” to include the creation and modification of hardware and software. We do not now, nor will we ever, live a world that honestly faces the demise of skilled labour and the creation of a “surplus population” (Shallis 1984, 126), one where there are no jobs and no prospects of jobs. In a culture that appears singularly focused on training students for the workforce to think logically through coding and computer science, reconceptualizing music making can both be a “a site of social struggle” (Feenberg 1999, 83) and a space in which students can “control the productive process democratically by deciding what, how, when and for what purpose production takes place” (Shaiken 1977, 113). Cathy Benedict’s (Associate Professor and Director of Research Don Wright Faculty of Music at University of Western Ontario) scholarly interests lay in facilitating educative environments in which students take on the perspective of a justice-oriented citizen. To this end her research agenda focuses on the processes of education and the ways in which teachers and students interrogate taken-for-granted, normative practices. Jared O’Leary is a multiplicity whose research interests include music engagement and learning through video games and interactive audio; affinity, hybrid, and participatory music engagement and learning; and the intersections between music engagement, learning, and computer science. Visit JaredOLeary.com to stay up to date with his latest research. Allsup, Randall Everett. 2012. The moral ends of band. Theory into Practice 51 (3): 179–87. Bimber, Bruce. 1990. Karl Marx and the three faces of technological determinism. Social Studies of Science 20 (2): 333–51. Bowers, Chet A. 1988. The cultural dimensions of educational computing: Understanding the non-neutrality of technology. New York: Teachers College Press. Buolamwini, Joy, and Timnit Gebru. 2018. Gender shades: Intersectional accuracy disparities in commercial gender classification. Proceedings of Machine Learning Research 81: 1–15. http://proceedings.mlr.press/v81/buolamwini18a/buolamwini18a.pdf. Carlsson, Anders. 2008. Chip music: Low-tech data music sharing. In From Pac-Man to pop music: Interactive audio in games and new media, edited by Karen Collins, 153–62. Burlington: Ashgate. Carlsson, Anders. 2010. Power users and retro puppets: A critical study of the methods and motivations in chipmusic. Unpublished manuscript, Department of Media and Communication Studies, Lund University, Sweden. Chandler, Daniel. 1996. Engagement with media: Shaping and being shaped. Computer-Mediated Communication Magazine 3 (2). Christensen, Clayton M. 1997. The innovator’s dilemma: When new technologies cause great firms to fail. Boston, Mass: Harvard Business School Press. Collins, Karen. 2013. Playing with sound: A theory of interacting with sound and music in video games. Cambridge: The MIT Press. Eubanks, Virginia. 2018. Automating inequality: How high-tech tools profile, police, and punish the poor. New York, NY: St. Martin’s Press. Feenberg, Andrew. 1991. Critical theory of technology. New York: Oxford University Press. Feenberg, Andrew. 1999. Questioning technology. New York: Routledge. Garcia, Megan. 2017. Racist in the machine: The disturbing implications of algorithmic bias. World Policy Journal 33 (4): 111–17. https://doi.org/10.1215/07402775-3813015. Gaston, Jim. 2006. Reaching and teaching the digital natives. Library Hi TechNews 23 (3): 12–13. Giroux, Henry A. 2003. The abandoned generation: Democracy beyond the culture of fear. New York: Palgrave Macmillan. Gutstein, Eric, and Bob Peterson. 2006. Rethinking mathematics: Teaching social justice by the numbers. Milwaukee, WI: Rethinking Schools, Ltd.
Harvey, David. 2007. Neoliberalism as creative destruction. The Annals of the American Academy of Political and Social Science 610 (1): 22–44. Illich, Ivan. 1977. Disabling professions. London, UK: Marion Boyars. Jenkins, Henry, Mizuko Ito, and danah boyd. 2016. Participatory culture in a networked era. Cambridge: Polity Press. Lysloff, René T. A. 2003. Musical life in Softcity: An internet ethnography. In Music and Technoculture, edited by R. T. A. Lysloff and L. C. Gay Jr, 23–63. Middletown: Wesleyan University Press. Mantie, Roger. 2017. Thinking about music and technology. In The Oxford handbook of technology and music education, edited by S. Alex Ruthmann and Roger Mantie. New York: Oxford University Press. O’Leary, Jared D. 2018. A corpus-assisted discourse analysis of music-related practices discussed within chipmusic.org (Order No. 10979369). Available from ProQuest Dissertations & Theses Global. (2154870828). https://search. Olssen, Mark, John A. Codd, and Anne-Marie O’Neill. 2004. Education policy: globalization, citizenship and democracy. Thousand Oaks, California: Sage Publications. Paul, Leonard J. 2014. For the love of chiptune. In The Oxford handbook of interactive audio, edited by K. Collins, B. Kapralos, and H. Tessler, 507–30. Oxford: Oxford University Press. Pasdzierny, Matthias. 2013. Geeks on stage? Investigations in the world of (live) chipmusic. In Music and Game: Perspectives on a Popular Alliance, edited by P. Moormann. Berlin: Springer VS.
Pursell, Carroll W. 1994. White heat. Berkeley: University of California Press. Ratliff, Brendan. 2007. Why did freely shared, tracked music in the 1990’s computer demoscene survive the arrival of the mp3 age? Unpublished manuscript, International Centre for Music Studies, University of Newcastle Upon Tyne, Newcastle upon Tyne, England. Rushkoff, Douglas. 2010. Program or be programmed: Ten commands for a digital age. Berkeley, CA: Counterpoint. Ruthmann, S. Alex, Evan S. Tobias, Clint Randles, and Matthew Thibeault. 2015. Is it the technology? Challenging technological determinism in music education. In Music education: Navigating the future, edited by Clint Randles, 122–38). New York, NY: Routledge. Schmidt, Patrick 2017. Why policy matters: Developing a policy vocabulary within music education. In Policy and the political life of music education, edited by Patrick Schmidt and Richard Colwell. New York: Oxford University Press. Shaiken, Harley. Craftsman into baby sitter. In Disabling professions, edited by Ivan Illich, 111–27. London, UK: Marion Boyars. Shallis, Michael. 1984. The silicon idol: The micro revolution and its social implications. Toronto: Oxford University Press. Thibeault, Matthew. 2014. Media as an invitation to rethink music education. General Music Today 27 (3): 36–9. Thibeault, Matthew 2015. Is it the technology? Challenging technological determinism in music education. In Music education: Navigating the future, edited by S. Alex Ruthmann, Evan S. Tobias, Clint Randles, and Matthew Thibeault, 271–91. For more information on the current status of computer science jobs available in the United States, and how each state is implementing computer science education initiatives, visit www.code.org/promote. While neoliberalism and neoliberal policies/politics are contested terms, we take for our working definition the following: “Neoliberalism is a theory of political economic practices proposing that human well-being can best be advanced by the maximization of entrepreneurial freedoms within an institutional framework characterized by private property rights, individual liberty, unencumbered markets, and free trade” (Harvey 2007, 22). This definition is grounded in “political-economic practices” that have been “embraced” (23) not only by governments throughout the world, but by key financial institutions, including the International Monetary Fund, and the World Trade Organization (23). As such, references to society in this article imply society writ large. For more information on the ways in which algorithms profile people, see Eubanks (2018) and Noble (2018). For another conceptualization of technological determinism in music education, see Ruthmann, Tobias, Randles, and Thibeault (2015). Gove (2014) mentions freedom four times in this speech.